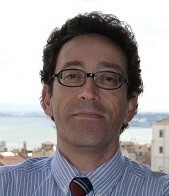 António has a Ph.D. in Economics from the Technical University of Lisbon and is Full Professor of Economics in the Department of Economics of ISEG/UL - University of Lisbon. He is currently the President of UECE - Research Unit on Complexity and Economics, President of REM - Research in Economics and Mathematics, coordinator of the Master in Monetary and Financial Economics at ISEG, coordinator of the PhD in Economics and ISEG. He was previously Principal Economist at the European Central Bank, Senior Economist at CGD, BNU, and at IGCP, and Consultant and Adviser at the Ministry of Finance. He was also consultant to the IADB, the European Court of Auditors, the OECD, and the IMF. His research interests include fiscal policy, applied economics, macroeconomics and financial economics, and he has published more than 100 papers in academic journals.